I go into details about my story & a look into my fitness & clean eats! Now, I don’t know if I can pick a favorite! That were featured on Tosca Reno’s blog! 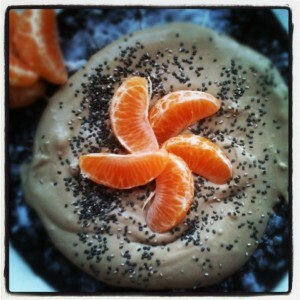 my Chocolate covered Orange POWERCAKE! 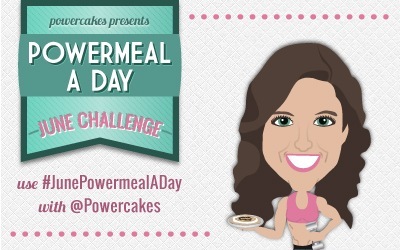 I may have to go make a POWERCAKE now! 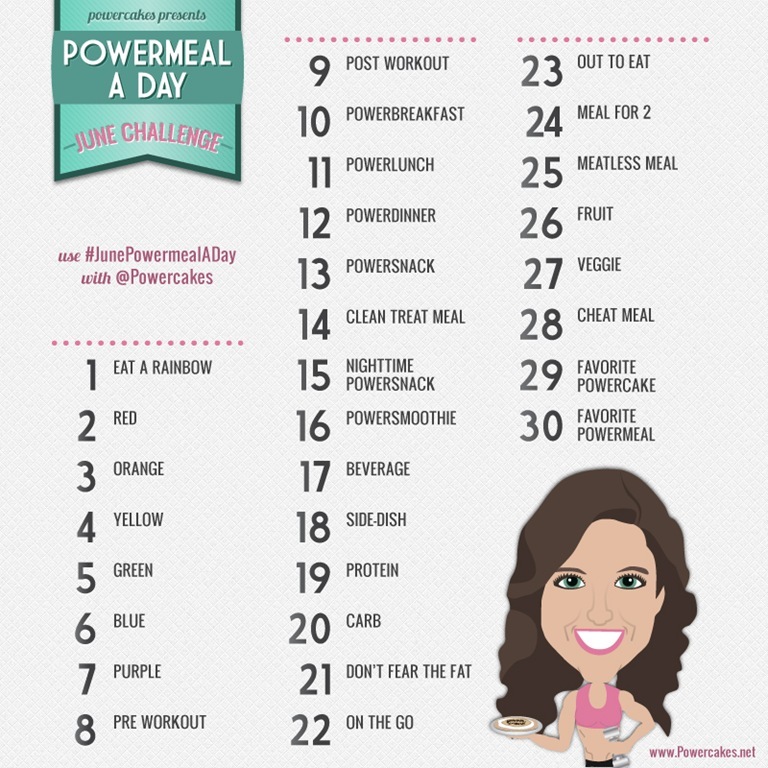 What is your favorite POWERCAKE?! It will be starting SUNDAY! Green Pinnable Recipe Round Up! 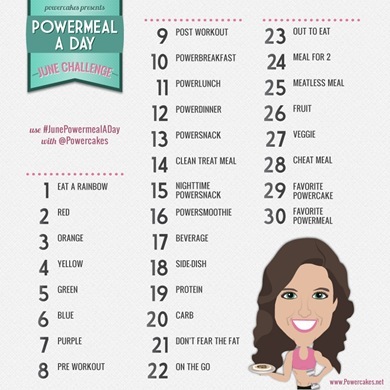 My favourite is the Microwave Mini Chocolate Powercake. I substitute banana for the pumpkin, I don’t use any sweetner and add in a half scoop of protein powder and a little almond milk. It’s my go-to snack if I do overtime at work and don’t get home until 9 or 10pm, which is when I usually get a craving for something sweet. The best thing is that it’s decadent without empty calories. I am relatively new to your blog, and have yet to make my first Powercake. They all look so delicious and packed full of nutrition. What recipe do you recommend to get started with? I love the Lean and Green Powercake! I love that its green, I’m getting in my veggies and topped with coconut, blueberries, raspberries, protein power frosting, agave nectar and chia seeds! AMAZING!!! I really love all of them though. If I don’t have time to make one in the morning I get jealous when I see someone got to eat one on instagram! Love them! I have been reading your blog for so long now and would you believe I still haven’t made one? I know, that needs to change like immediately! I love all of them and have most of them bookmarked to make. 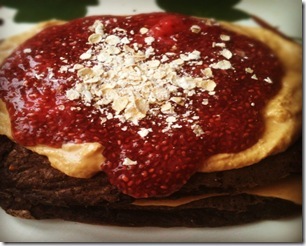 Chocolate PB & J power cake looks fab too! Do I have to choose only one?? They all rock but I think my favorite is the Pumpkin Powercake Roll with the Chia Protein Frosting (which I also drizzle a little of your healthy chocolate sauce over!) So good!!! I am a huge fan of the lean green powercakes! Greens and a pancake! I love it! That savory pizza one looks great too! I will definitely be trying that recipe out! 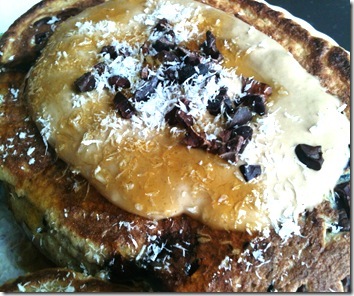 I just found your blog and wow the powercakes look good. Hubby was just peeking over my shoulder and saw them on the screen and said make those!!! glad I found u and looking fwd to trying a powercake. Your Power PumpkinRoll is my favorite! Mmmm I had never seen that pizza one before!